So you have a hot new hardware device that you’d like to develop and sell? Well, your first step is to create a working prototype. But where should you begin? There is no doubt that developing hardware is hard, and you can’t expect immediate results. But if you break it down into manageable steps it is possible to succeed with hardware. Most hardware product prototyping can be split into two sections: the electronics and the plastic case. Let’s look at each separately. Creating a prototype of the electronics section can be separated into 4 steps. You’ll need to hire a design engineer to develop the electronics. If you are a maker or DIY’er you may be able to perform step 2, then outsource the other steps to an engineer. The first step in electronics development is the creation of a blueprint-like drawing called a schematic. The schematic provides all of the necessary details to build the electronics including how all of the components are connected together. This is also when all of the electronic components will be specified. A Bill of Materials (BOM) will be created detailing every electronic component. Depending on the project and your budget you may or may not want to create an intermediate prototype of the electronics. Some techniques for intermediate prototypes are to use breadboarding (a method for quickly and crudely connecting electronic components) and/or existing development modules like the Arduino and Raspberry Pi. Eventually, you must make your way to creating a production quality prototype. 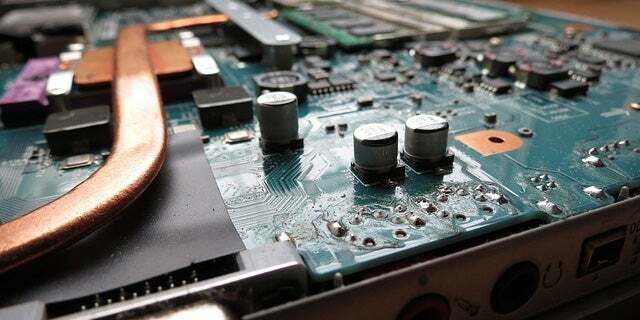 To do that requires creating a printed circuit board (PCB). A PCB is a custom designed board that holds and connects all of the electronic components. Using special software your electronics engineer will turn the abstract schematic (blueprint) into a real world physical PCB layout. This is a complex step because the PCB layout can have a great impact on the performance of the end product. The PCB layout design files are now sent to a special electronics prototyping company for production. The first step is to fabricate the empty printed circuit boards. Once the PCB is fabricated the next step is to assemble it by soldering on all the various components. Most modern microchips have very close pin spacing making them very difficult to solder manually so usually very precise automated machines are used. Just about any electronic product is enclosed in a plastic case of some sort. In order to create a prototype of a custom shaped case you will need to use 3D printing. The first step is to create a 3D computer model of your product’s plastic parts. Unless you’ve done computer modeling or drafting in the past you’ll need a 3D modeling expert for this step. Even if you can do the modeling yourself, the 3D software required is expensive and may cost more than hiring an expert. Once you have the 3D model completed you can send the design files to a 3D printer for prototyping. There are countless prototype shops that offer 3D printing. The other option is to purchase your own 3D printer. In the past couple of years they have gotten cheap enough for home use. Be warned however that a completely different technology is used for large scale production of custom plastic pieces. This technology is called high pressure injection molding. Transitioning a custom plastic design from prototype to full production is a very complex and costly process. Once you have a functional prototype in hand then you can proceed with getting initial customers, market feedback, a manufacturing partner, and investors. It’s a long path to success with a hardware product, but it all begins with the prototype. John Teel is an electronics design engineer, serial entrepreneur, and founder of Predictable Designs. He has developed products for tech companies that now sell in the millions of units. John now helps other entrepreneurs, startups, and small companies bring new electronic products to market. Download his FREE cheat sheet - 18 Steps to Market for Your New Electronic Product.